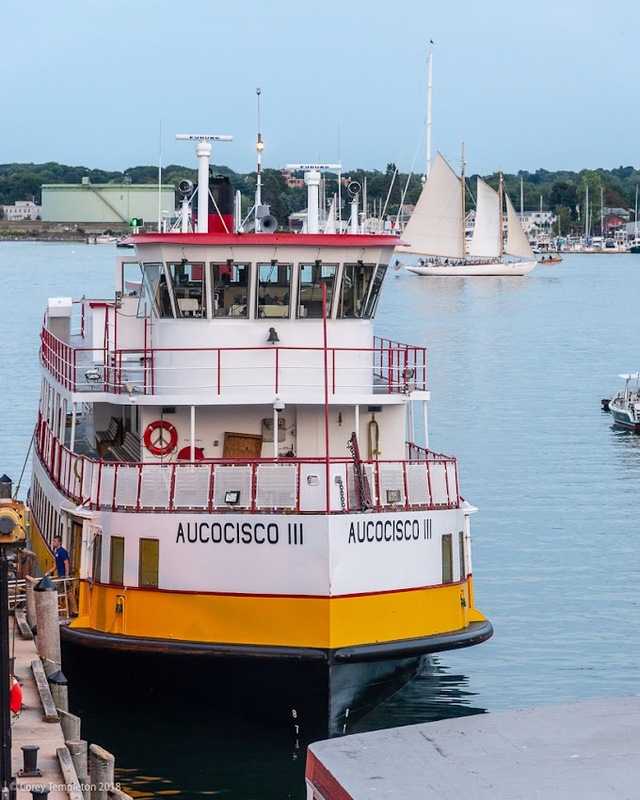 Throwback to August 2017 and a sailboat passing behind the Casco Bay Lines Aucocisco III. 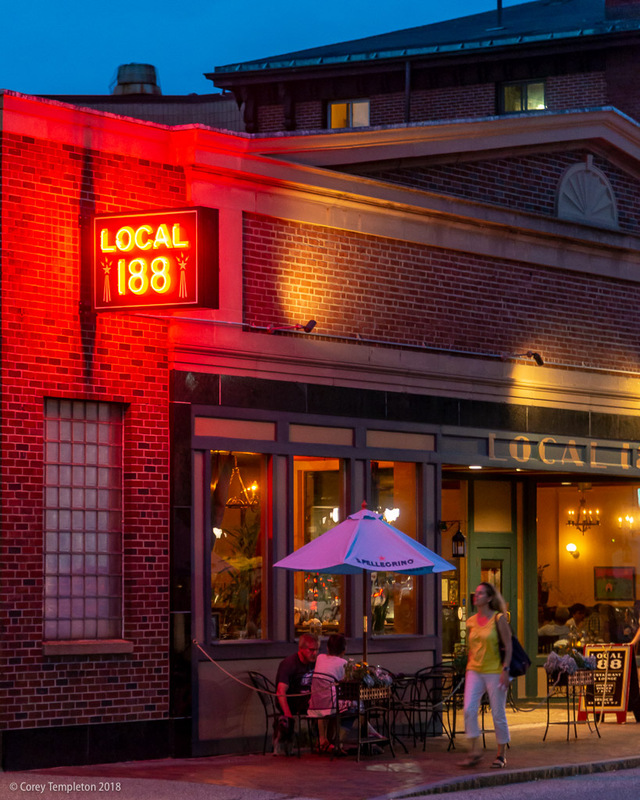 Sidewalk dining under the neon light of Local 188. 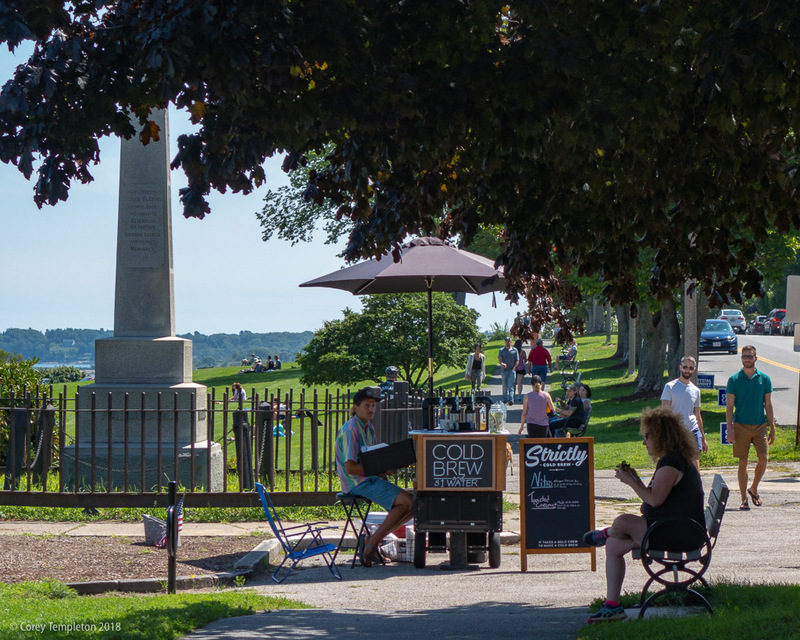 Stopping to smell the coffee (Strictly Cold Brew) on the Eastern Promenade. 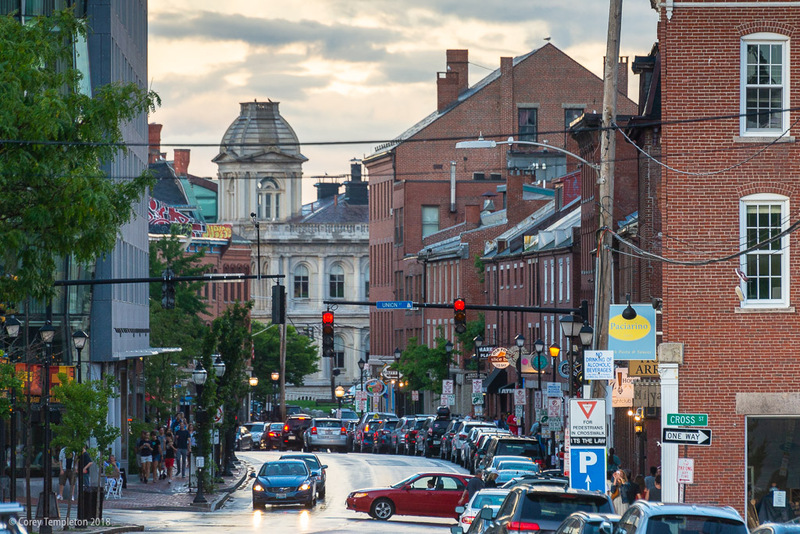 The crowds and cars along Fore Street on a summer afternoon. 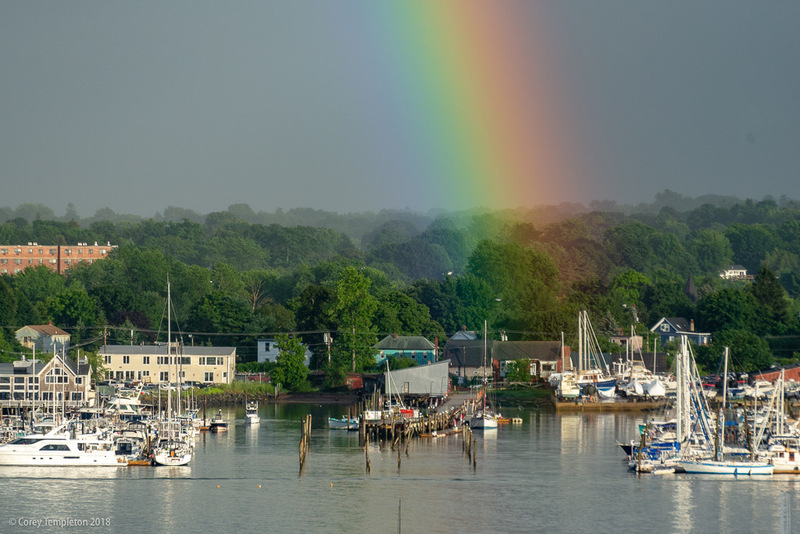 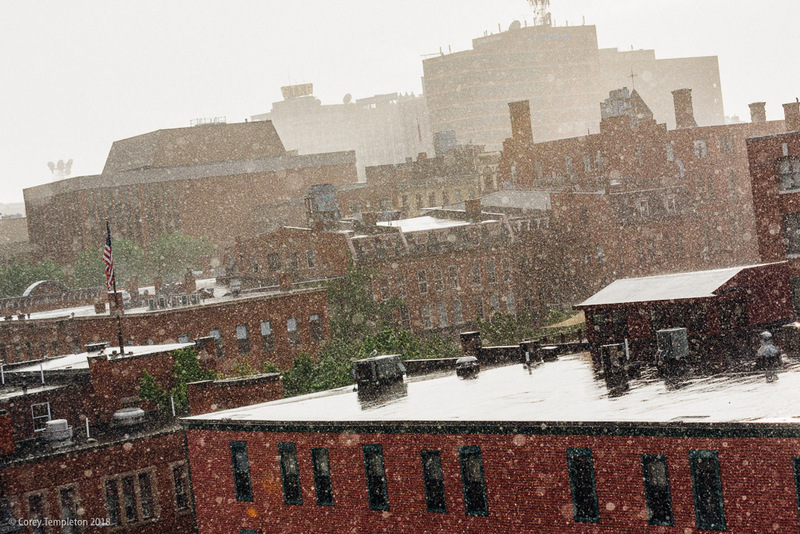 A rainbow starting across the harbor in South Portland this afternoon. 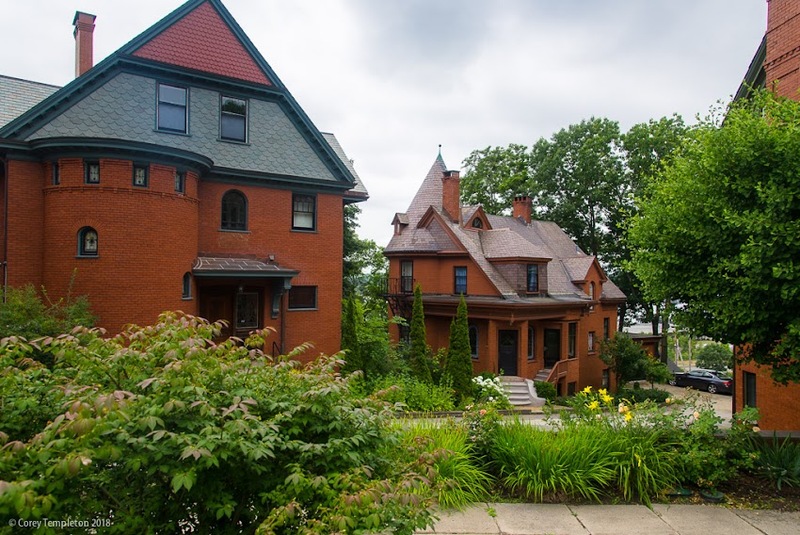 The charming brick buildings on the Western Promenade, closer to the Danforth Street area.